The Hyatt Place Jackson/Ridgeland is a new hotel that combines style, innovation, and the Hyatt Touch. This six-story, 126-room hotel is conveniently located off of I-55 at Exit #105B/Old Agency Road in the heart of Ridgeland, and just minutes from downtown Jackson, and is located within Renaissance Business and Shopping Complex. 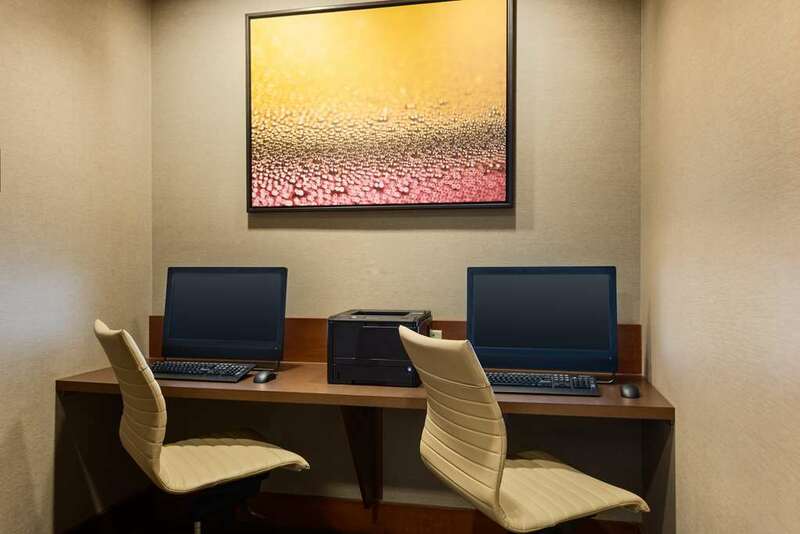 Guests will enjoy free "anywhere" high-speed WiFi Internet access, rooms with 42" flat panel HDTV and media centers, Hyatt Grand Beds, complete with separate living and sleeping areas. Come make it your place. World of Hyatt members can enjoy our free breakfast when they book an eligible rate. Our breakfast includes premium ingredients, cage-free eggs, and regional chef-inspired dishes. Served daily from 6:00am-9:30am (Monday-Friday) and 6:00am-10:00am (Sat-Sun). 24-hour Grab & Go Cafe offers freshly prepared entrees, sandwiches, salads, and pizza. Available 7 days a week in Guest Kitchen. Service Animals are exempt from fees. PET POLICY: 1-6 NIGHTS A 75 NON-REFUNDABLE FEE. 7-30 NIGHTS A 75 NON-REFUNDABLE FEE PLUS AN ADDITIONAL 100 CLEANING FEE. MAXIMUM OF 2 DOGS PER ROOM ARE PERMITTED. WEIGHT MUST BE 50 LBS OR LESS MAX OF 75LBS PER RM. FEES ARE IN USD. Gallery Cafe: Breakfast served from 6:30am to 9:30am. This six-story, 126-room hotel is conveniently located off of I-55 at Exit 105B/Old Agency Road in the heart of Ridgeland, and just minutes from downtown Jackson, and is located within Renaissance Business and Shopping Complex.